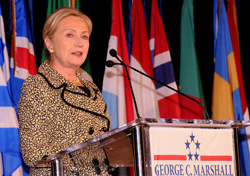 US Secretary of State, Hillary Rodham Clinton in 2011. This morning saw the launch of a major new guide to business in Iraq: Entitled “The New Iraq: 2012 Discovering Business“, it was launched simultaneously in Dubai and at the “Iraq: Untapped Opportunities” conference in London. Published by Allurentis, in association with UK Trade & Investment (UKTI), the guide containes a wealth of case studies, commentary and data; it’s 140 pages of essential reading for everyone involved with the redevelopment of Iraq. And as Dr. Sami Al-Araji, Chairman of the National Investment Commission, says in the introduction, “the sky really is the limit for investors”! "The New Iraq" is a GREAT READ for when you have some quiet-time to relax and go through it leisurely. You'll find that you'll come to a good understanding as to why countless companies throughout the world are flocking to Iraq in hopes to capitalize on their potential. When reading this, also keep in mind that with the constant and rapid increase in Iraq's population, Iraq must be able to provide for this steadfast growth! Posted on 02 November 2011 in Iraq Business News. The Iraq banking industry is poised to take a huge step forward as outside investors partner with established private banks and possibly create new ones through consolidation. 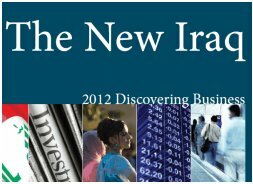 In this latest free report from IraqiXchange, Ahmad Saleh presents a detailed analysis of the sector.